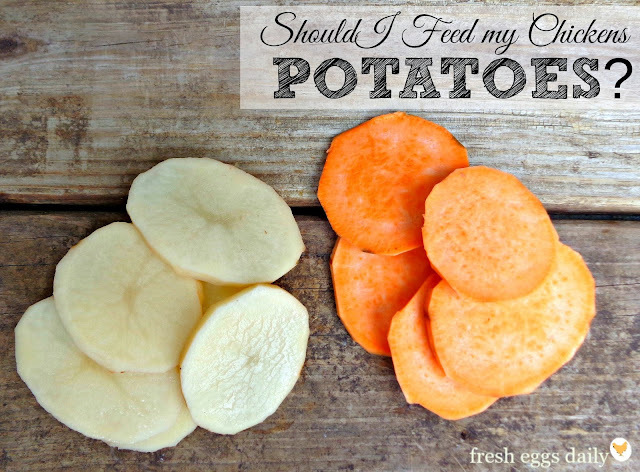 Can I Feed Potatoes to my Chickens? Did you know that despite sharing a name and often being prepared in similar ways, white potatoes and sweet potatoes aren't actually even related? They belong to two separate families, and as such, the simple question 'Can I feed my chickens potatoes?' doesn't have a simple answer. 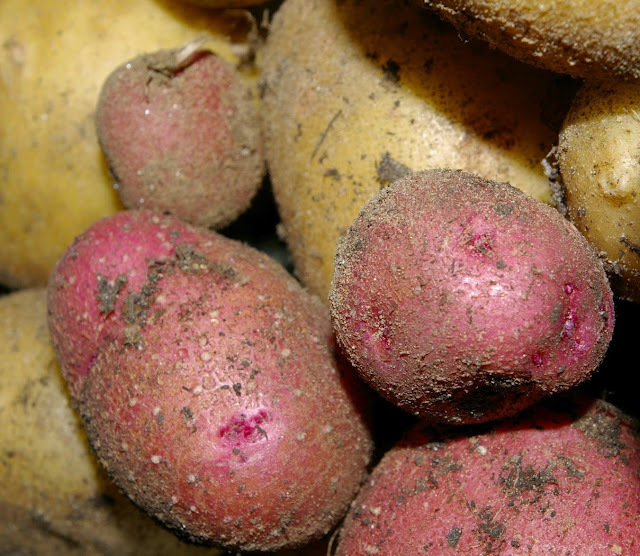 White potatoes (as well as the red and yellow varieties) are part of the nightshade family (along with tomatoes and eggplant) and as such, all parts of the plant contains a substance called solanine. Solanine which is a natural pesticide and neurotoxin which can lead to respiratory distress, convulsions, neurological damage, diarrhea or paralysis and can even be fatal in large enough amounts. Although solanine is partially killed by cooking the potatoes at high heats (400+ degrees F), mere boiling barely reduces solanine levels. 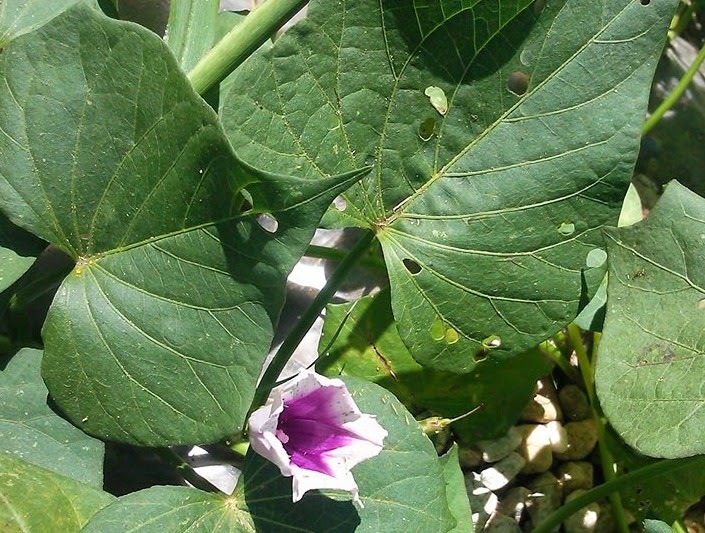 Although the highest levels of the toxin are found in the skin of green potatoes, the eyes and the leaves, it's best to stay away from feeding all parts of the white potato including the flesh, skins, vines and leaves to your chickens. Remember, "toxic" doesn't always mean "fatal", and toxins can do damage to internal organs or cause other health issues not immediately apparent. While this toxin isn't well-absorbed by humans or animals, it can build up in the body, and livestock deaths have been attributed to ingesting raw (or green) white potatoes and/or leaves. In humans, generally the symptoms of overeating potatoes is limited to vomiting or diarrhea. Those with compromised immune systems will often be affected by lesser amounts of a toxin than a perfectly healthy individual, who generally can eat potatoes without any problem. ery few foods will kill a chicken - or any living being - right on the spot, but toxins accumulate and do invisible damage and also affect each individual differently, so why take a chance? I choose to err on the side of caution on this one. My recommendation: Avoid feeding all parts of the white potato to your chickens, but if you must, stick with well-cooked, peeled, fully ripened potatoes. 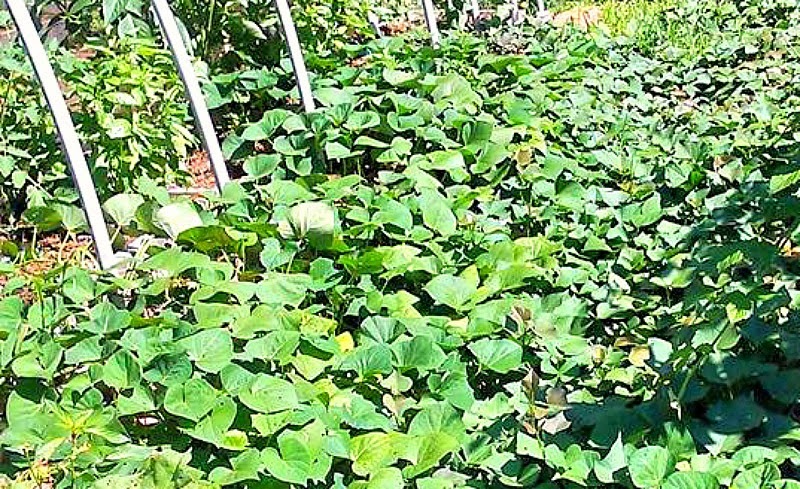 Sweet potatoes, on the other hand, are members of the morning glory family and all parts of the plant - leaves, stems, vines, flowers, peels and flesh (cooked or raw) - are perfectly safe to feed your chickens. Since sweet potatoes are far more nutritious for humans than white potatoes anyway, when we started raising chickens and I learned that white potatoes could be potentially harmful to them, we have switched to eating sweet potatoes almost exclusively. I even grow sweet potatoes here in Maine. 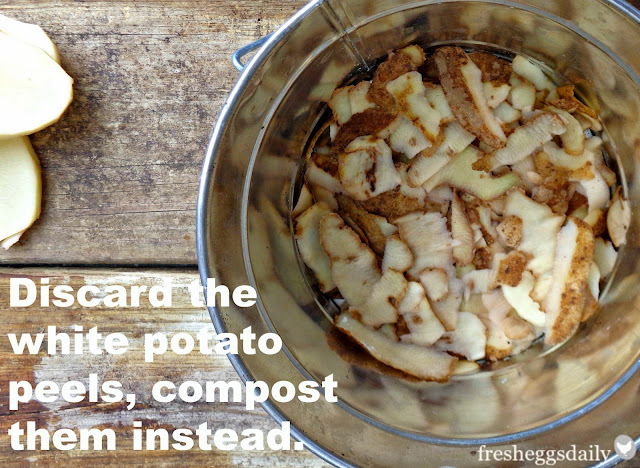 This way, I can feed the chickens all the sweet potato peelings, scraps and leftovers without worry. One caution: moldy sweet potatoes can be toxic to your chickens, so it's always good practice never to feed anything moldy to your flock. My recommendation: Add all parts of the sweet potato plant to your chickens' diet. Interesting to note - yams, while looking and tasting very similar to sweet potatoes, aren't actually related to them at all, instead being part of the lily family, but are also safe to feed to your chickens. So in summary, switching out the white potatoes in your family's diet for sweet potatoes is a healthy option for both you and your chickens! For more potentially toxic foods that you should avoid feeding to your flock, read HERE. A special thanks to my friend Jen of 1840 Farm for allowing me to use her great potato photos! Visit Jen on Facebook or her Blog where she shares gardening tips, homesteading ideas, and recipes using her produce fresh from the garden and eggs fresh from the coop. Thank you for this useful information. My husband and I will be building our chicken coop this summer and hopefully get chickens next year. We have a huge garden (s) and grow many things. We will have a garden that will be just for the chickens so this information has saved us a lot of future time and stress :) thanks again. Great! They'll appreciate their own garden. I just lost my whole flock (5 guinea fowl). When I woke up, two were dead, within one hour another one died, then the last two the next hour. They had some cooked potato skins the night before, about two small ones. They were only four for months old. They didn't seem to be ill at all prior to this. Have you ever experienced such a loss? Any ideas?